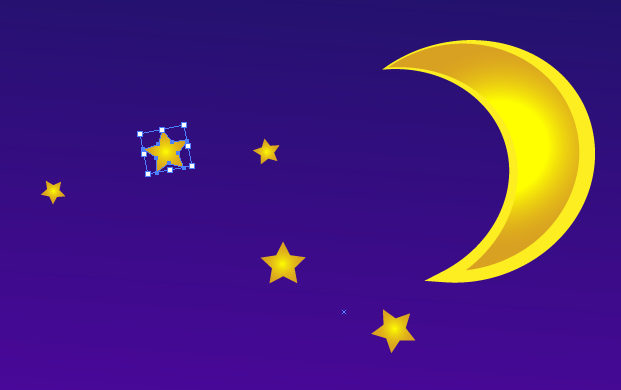 Put the pen tool down and create this vector starry scene in Illustrator the easy way. 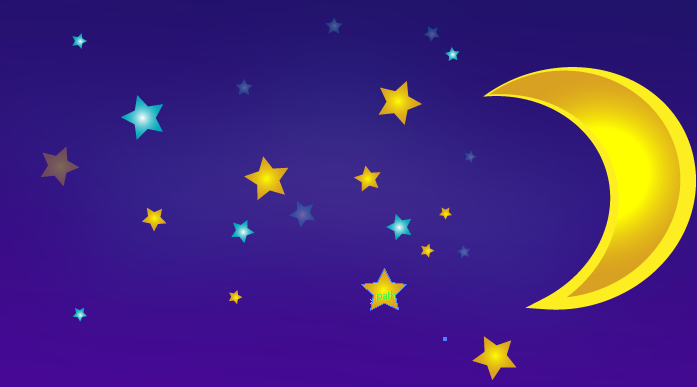 Creating the moon and some stars is pretty easy when you use Adobe Illustrator. 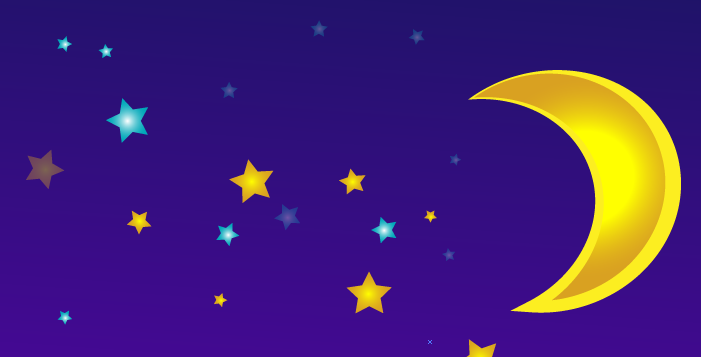 In this quick guide, I will teach you now you can create nice, glossy looking moon and stars vector graphics which you can include in your designs when postcard printing or poster printing. This will be perfect for our web and print designs that need some more “night styled” imagery and symbolism. The beautiful thing about this guide is that we are only using basic shapes. You do not need to be super steady with your mouse and of course, you will not have to worry about your pen tool. 1. First, setup the background for your document. Take note that BLACK is the most boring idea for the background. The night sky is hardly just black. It is a mix of different dark colours depending on where you are in the world. 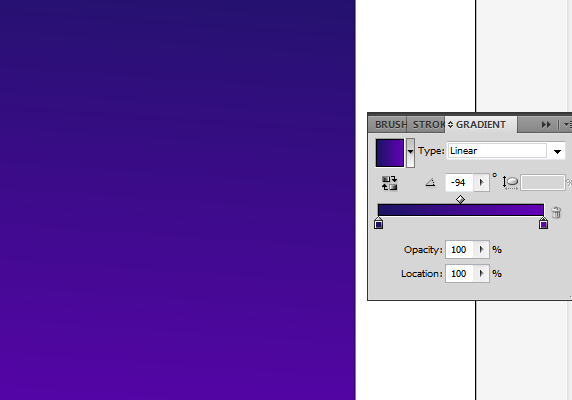 In this vector graphic, we will use the gradient tool to add a purple and dark blue background. This will make our moon and starts pop out more easily in the design. 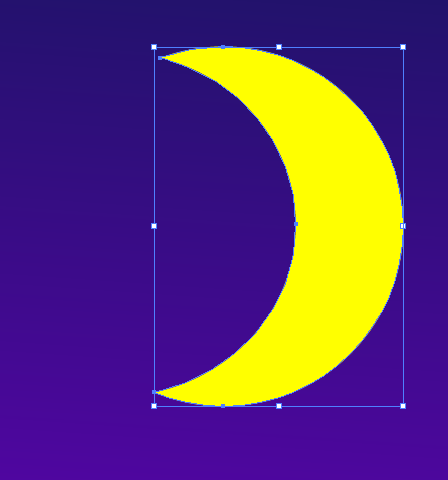 Just create a large rectangle in illustrator and colour the shape in this gradient way. 2. With that, let us create our moon. Use the ellipse tool (Shortcut L) and just create a standard yellow circle at the centre of your document. Press down the SHIFT key when doing this to be sure that it is a perfect circle with equal radii all around. 3. Hold down the ALT key and then click and drag onto this new yellow circle. You will see that you would have duplicated the shape this way. Change its colour so that it is easier to see (it does not matter what colour). Move it a little bit to the left, and reduce its height a little bit. 4. Next, select both circle shapes. Go to the Pathfinder panel and click on the option to “Minus front. This will cut the shape of the shape at the back based on the front shapes’ intersecting area. 5. Great! Now we have our basic moon shape. Of course, for our purposes we are using the Crescent moon as the vector graphic shape since it is the more distinctive shape of the moon. 6. To make the colour more dynamic add a colour gradient to our moon. 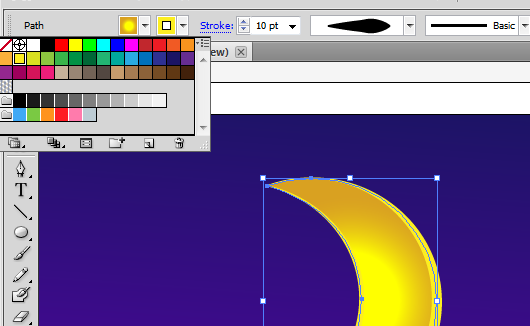 Simply use the colour gradient panel and add a Yellow, and slightly Yellow Orange gradient colour into our moon shape. 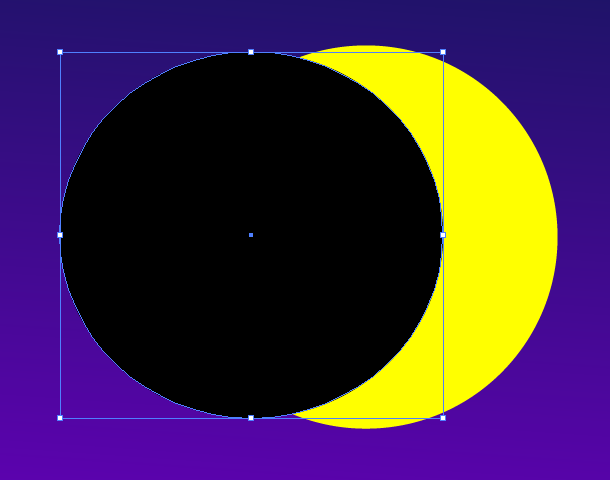 Use a Radial style gradient to have a brighter yellow centre for your moon. 7. 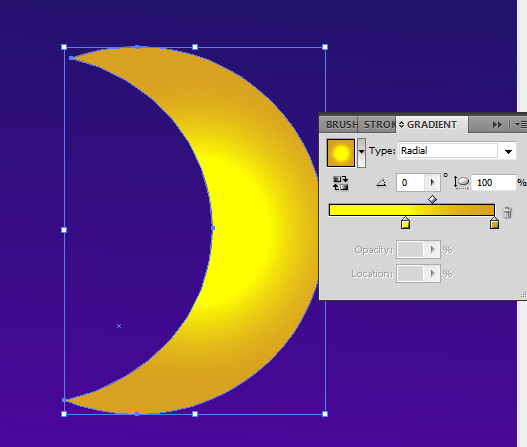 Finally, stylize our moon by adding a 10pt colour stroke in bright yellow. 8. Next, we shall add some stars. Do this easily by just clicking on the Start Tool in your tools window. Click and drag the tool to the canvass to create some stars. 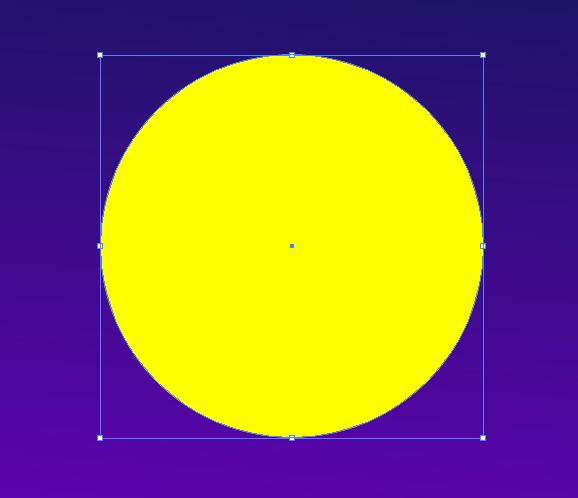 Use the same yellow radial gradient on this star. 9. Duplicate your star to make more stars. 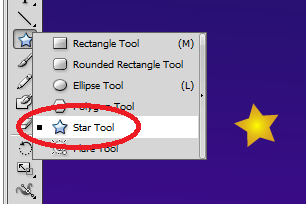 Simply hold down the ALT key and then just click and drag the shape of the star. You will see it duplicates. Duplicate as many stars as you need. You may want to vary their sizes for a better looking effect. 10. If you want, you can also use alternative colours for your stars to make them more interesting. Blue and white colours for stars can also work. DO not forget to adjust their opacity to make some starts look faded and further away. 11. Finally, use one blue star, increase its width but not its height too much. Go to Effects -> Blur -> Gaussian Blur and then add a value of 50 or more at the window that opens. This will become our pseudo milky way type effect. Reduce its opacity to 15% and then place across our shapes. Send this shape to the back of all other shapes except our background shape. 12. 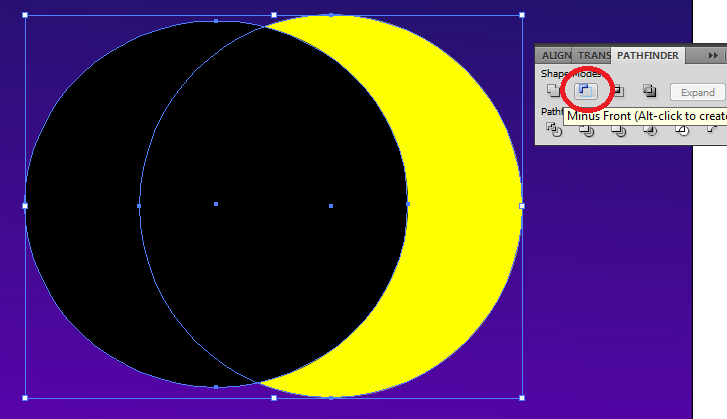 Now you know how to create Moon and Star vectors using Adobe Illustrator.